Do you feel embarrased because of your smelly scalp? Are you familiar with smelly scalp? Does your scalp reek of a weird smell that makes you feel embarrassed? There are various reasons that lead to smelly scalp including oily scalp, fungal infections, excessive sweating, hormonal imbalances, etc. the condition can haunt you if remains like this for a long time. Poor hygiene is also cited as a probable cause of the problem. Here are 6 home remedies that can help you get rid of a smelly scalp. Lemon contains antibacterial properties that help fight off the bacteria responsible for a smelly scalp. It also helps ward-off dandruff. 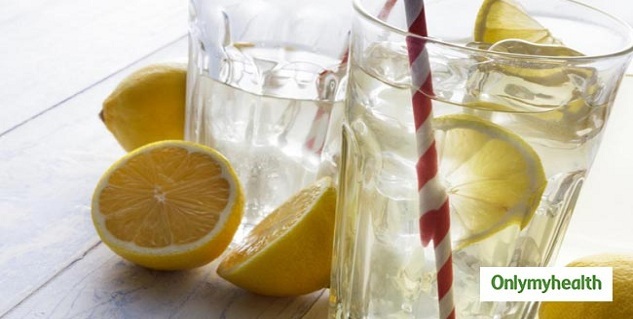 Mix two tablespoons of lemon water with two cups of water. Wash your hair with this after you shampoo. Leave the mixture in your hair for a few minutes and rinse with plain water. Garlic is loaded with antibacterial and antifungal properties that kill the bacteria that cause the scalp to smell. Crush 4-5 garlic and heat with coconut oil for a few minutes. Strain the mixture and extract the oil out of it. Apply the mixture to your scalp and let it sit for 30 minutes and rinse with cold water. Do this once-twice a week for best results. Apple cider vinegar has antibacterial nature which helps fight off bacteria. Mix half a cup of apple cider vinegar with 2 cups of water. Rinse your hair with shampoo, followed by a final rinse with the mixture. Rinse your hair with plain water. You should do this twice a week for good results. Onion helps get rid of the bacteria, oiliness of the scalp and fungal infections. Using onion juice is also useful for those suffering from the problem of baldness. Grind one 1 onion and extract its juice. Apply the extracted juice to your scalp using a cotton swab. Rinse your hair after 10 minutes. Use this once a week for desired results. Aloe vera gel reduces smell, dandruff and treats oily scalp. It also conditions your hair naturally. Take an aloe vera leaf and scoop out the gel from it. Massage the gel into your hair for a few minutes and let it sit for another 5 minutes. Do this twice a week for best results. The antibacterial properties of tomato pulp kill the odour-causing bacteria on your scalp. 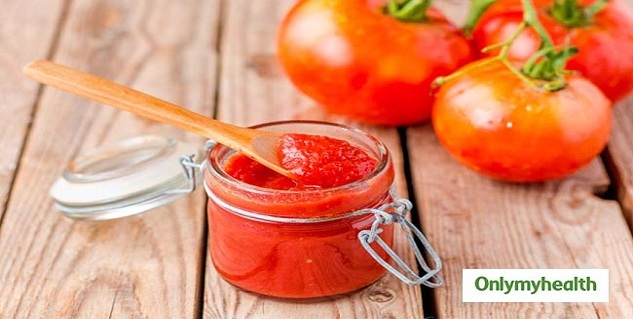 Squeeze the pulp from tomato and apply it directly to the scalp. Leave it for 30 minutes and rinse it off with water. Do this twice for excellent results. One of the most common and effective remedies for your scalp is baking soda. Packed with antibacterial properties, baking soda reduces oily scalp and treats smelly hair. Mix 1 tablespoon of baking soda with 3 tablespoons of water. Te paste should be of medium consistency. Apply it to damp hair and let it sit for 10 minutes. Wash it off with plain water. You should do this once a week for best results.